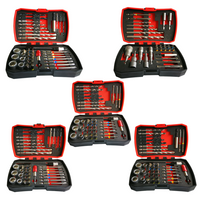 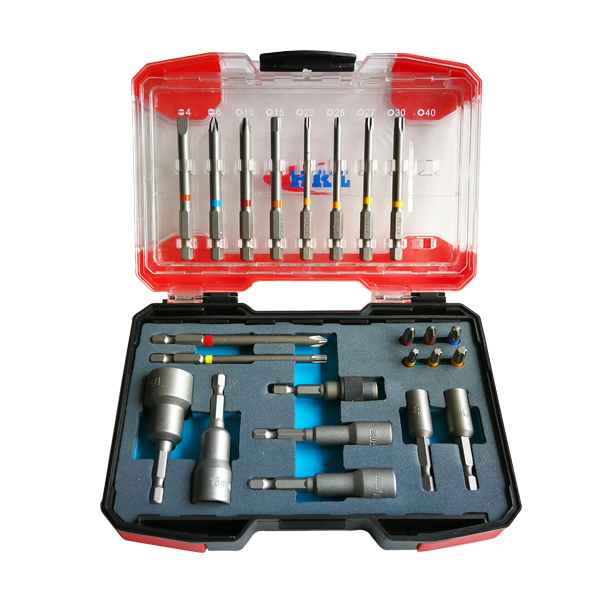 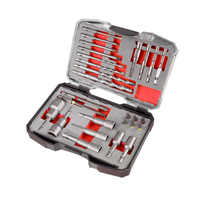 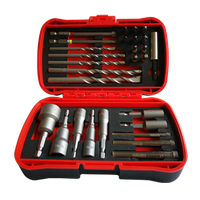 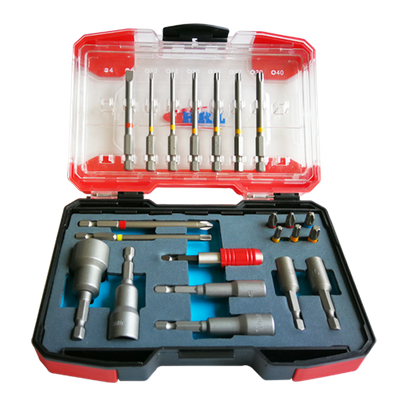 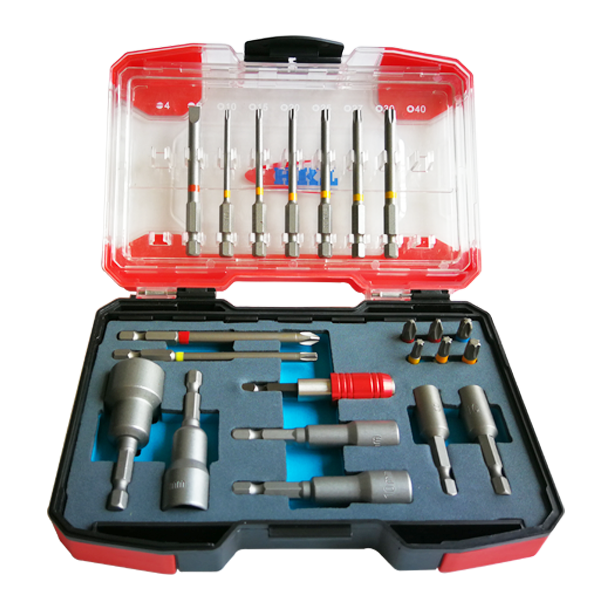 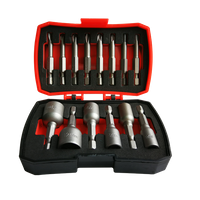 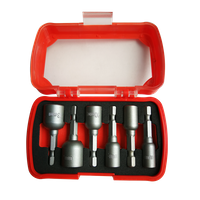 22Pcs Screw Fastening Tools Set - Buy bits set, nut setter set Product on Huikang Tools Co. Ltd.
• Most useful screw fastening accessories. 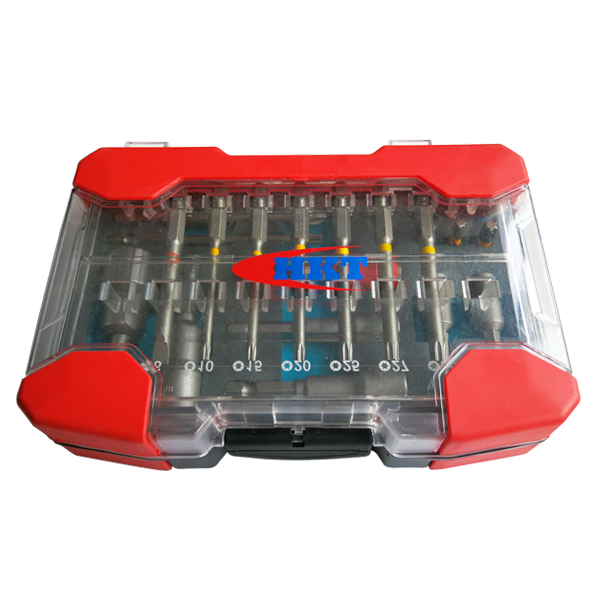 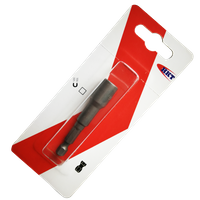 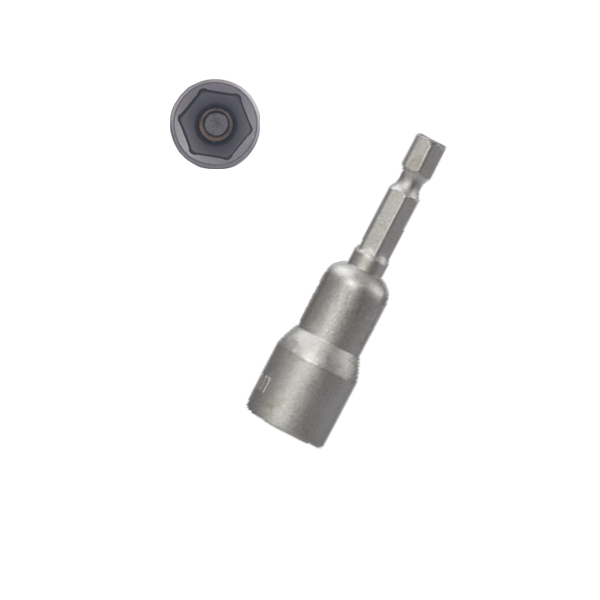 • With nut setter and hanger bolt screwdriver. 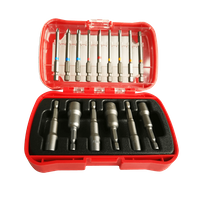 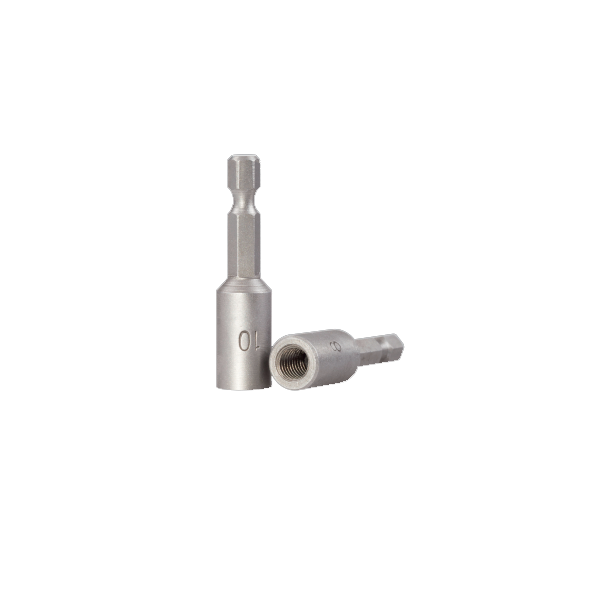 • Packed in injective plastic box.